The Women's Baseball World Cup trophy will visit five Major League Baseball (MLB) stadiums as part of a tour launched by the sport's worldwide governing body, it has been announced. 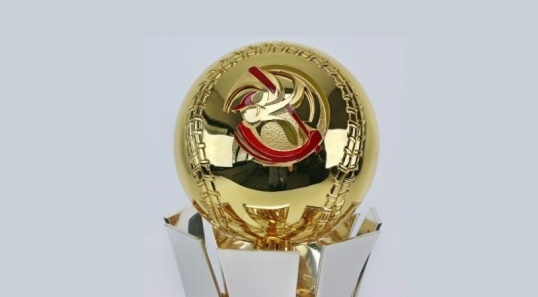 The World Baseball Softball Confederation (WBSC) has confirmed the trophy tour will include six cities in the United States prior to the start of the tournament in Viera, Florida on August 22. A promotional video, entitled "To Crown the Queens of Baseball", has also been unveiled. The homes of the five MLB teams - Washington Nationals, New York Mets, Florida Marlins, Tampa Bay Rays and Atlanta Braves - will welcome the trophy in July and August. The tour began earlier this week when the trophy visited the Coronado Theatre in Rockford in Illinois. "This is the first-ever celebration of the WBSC Women's Baseball World Cup trophy tour, and the first time this World Cup is to be played in the United States," said WBSC President Riccardo Fraccari. "The trophy tour's six destinations will help build national excitement among sports fans and shine the biggest spotlight ever on the WBSC Women's Baseball World Cup 2018 and women's baseball in general." The WBSC have said the promotional video has already generated over 250,000 views and over 14,000 likes and shares across the governing body's social media channels. It makes the short film the most engaging post of the year so far. Twelve nations will take part in the flagship event in the Florida city in all, between August 22 and 31. They will initially play in two groups of six at the USSSA Space Coast Complex. Hosts United States will contest Group A with Venezuela, Chinese Taipei, South Korea, The Netherlands and Puerto Rico. In Group B, five-time and defending world champions Japan have been placed with Canada, Australia, Cuba, Hong Kong and Dominican Republic.